Dolphin Villa-Doral Woods 5* Rated Trip Advisor Home. Dolphin Villa is tucked away in the much sort after location of Doral Woods and is set on a very large (Nearly 1 acre) and very private South Facing lot. Our featured Florida Villas are just a small selection of privately owned villas which are available for rent direct from the owner. Each property is fully furnished and contains everything required for your well deserved holiday in Florida. On the right hand side you will find our quick links area which consist of the most popular searches carried out and will help you to find a Florida property for you holiday; choose from 1 Bedroom Florida villas, 2 Bedroom Florida Villas, 3 Bedroom Florida Villas, 4 Bedroom Florida Villas, 5 Bedroom Florida Villas, 6 Bedroom Florida Villas, 7+ Bedroom Florida Villas, Florida Theme Park Villas, Disabled Friendly Villas and Golfing Villas. We have put together information on everything Florida has to offer including Golf Courses, Restaurants, Shopping Malls, Theme Parks & Attractions and Waterparks. To ensure you get a true picture of where you are staying we have some detailed Florida rental community guides on each community (area) where our villas are located. All of the communities featured on our site consist of rental properties as well as those occupied by permanent residents, adding to the real American experience. 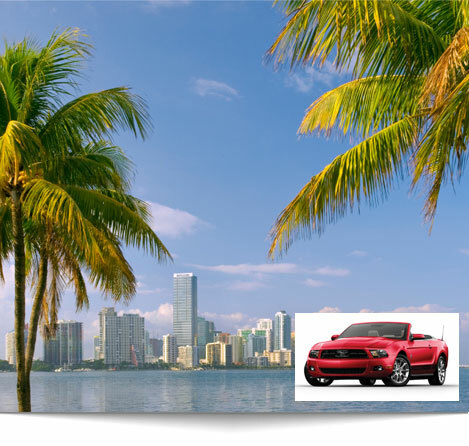 Our dedicated Florida car hire service is ABTA bonded and offers great all inclusive rates on a variety of vehicle types, suitable for all sizes of travelling groups. View Florida's Top Attractions and 50 Insane Facts About Florida here. Ensure you get the most out of your visit to the Sunshine State by reading about the major theme parks & attractions which Florida offers you when you stay in an Orlando Villas or Gulf Coast Villa. If it's one of the many professional shows you are considering then check out our shows area for more information. With all of that sun make sure you visit one of Florida's excellent waterparks and cool off while splashing around. After your great day retire to your private holiday Villa. Before you travel please ensure that you apply for your visa via the Esta service. All visiotrs to the United States of America must have a valid visa. Direct Villas Florida provides fully inclusive Florida Car Hire which has the added benefit of being ABTA bonded. To get you no obligation quote click the image. In an effort to assist all potential visitors to Florida, we have included a dedicated property listing page for Disabled Friendly Villas. This identifies all properties which owners have tagged as being suitable and offering appropriate accommodation for those with disabilities. Other information concerning issues such as mobility within Florida can be found on our Florida FAQ area. All communities featured by Direct Villas Florida are contained on our interactive Florida Map. This allows users to pinpoint the precise location of each community relative to the major theme parks, golf courses, and shopping malls etc. Specific traveling distances to/from major theme parks and airports can also be found on each of the community information pages.